October 04, Islamabad: Youth Parliament Pakistan visited the Benazir Income Support Programme (BISP) today and held an interactive discussion with Honourable Ms. Marvi Memon, MNA, Chairperson BISP, on poverty alleviation in Pakistan. Addressing the Members, Ms. Memon expressed that each province is a national integrator and said that as part of the Federal Cabinet she believes it is the prime responsibility of the Government to facilitate each and every province of Pakistan to prosper through equal opportunities. During the launch of map of Voice of BISP Families (http://www.bisp.gov.pk/Trainee_Video.aspx) Ms. Memon called upon Members representing all areas of Pakistan and asked them to play the videos of women from each area of Pakistan who have benefitted from the BISP scheme. She further explained that by hosting Youth Parliament Pakistan Members and asking them to launch the map of Voice of BISP Families, she was making the youth responsible in identify women from their respective areas who have been able to get successful even with limited resources available to them. This would be source of inspiration for other females in Pakistan who are deprived of the basic resources. 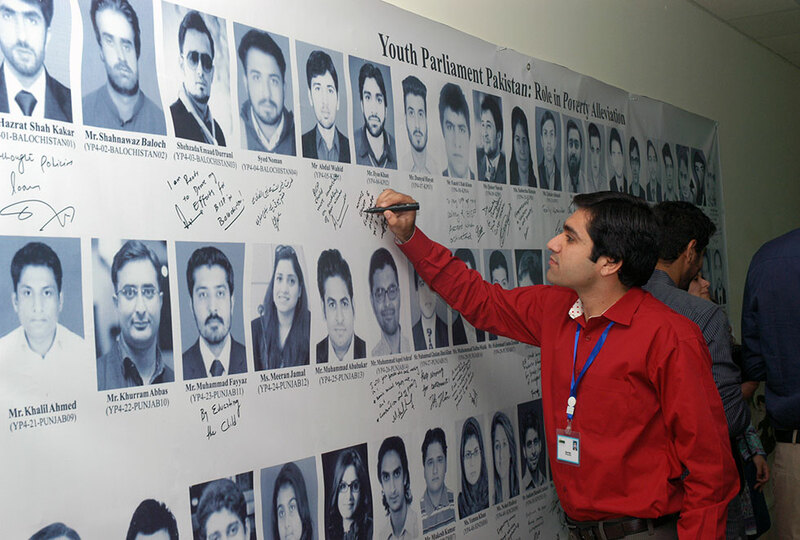 Earlier, at the Youth Parliament session on October 3, Mr. Mukesh Kumar Meghwar (YP04-45-SINDH07), Mr. Shahnawaz Baloch (YP04-02-BALOCHISTAN02) and Mr. Asad Palijo (YP04-42-SINDH02), urged the Government to expediently institute the 8th National Finance Commission award. In another Resolution tabled in the House today by Rana Rohail Asghar (YP4-35-PUNJAB23), Mr. Saddam Hussain Lashari (YP4-50- SINDH10), Mr. Hazrat Shah Kakar (YP4-01-BALOCHISTAN01) and Ms. Mehwish Malik (YP4-45-SINDH05), demanded that any person or political party should not be allowed character assassination of the Members of Election Commission of Pakistan as by doing this they could influence the smooth functioning of the electoral process. Both the Resolutions were adopted subsequently. 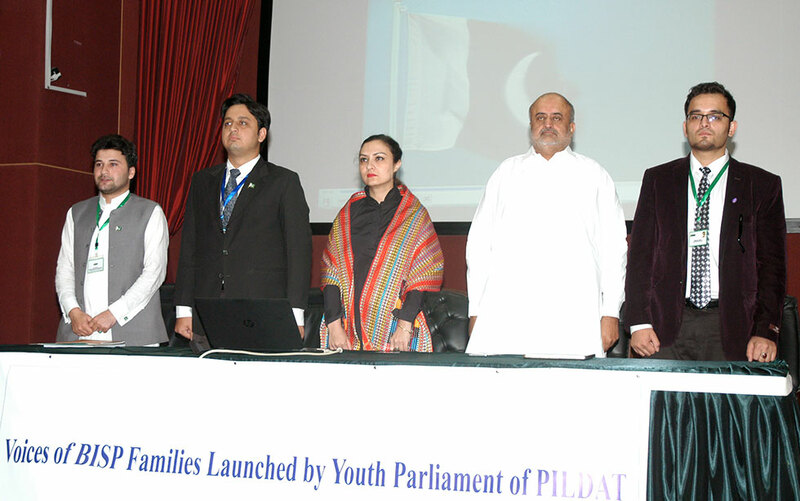 Members of Youth Parliament also observed a moment of silence and offered fateha over the sad demise of Justice (Retd.) Javed Iqbal, son of Dr. Allama Mohammad Iqbal, Poet Philosopher of Pakistan, at the start of the proceedings. Yesterday. 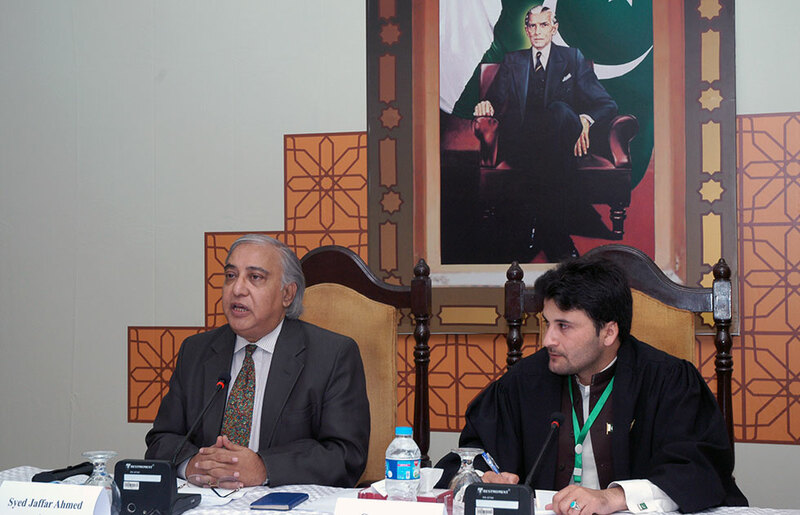 Dr. Syed Jaffar Ahmed, Director Pakistan Studies Centre, University of Karachi addressed the House on the topic of Local Governments and discussed the importance and challenges faced in electing local Governments and their position vis-à-vis Provincial and Federal Governments. He also held an interactive session with the young Members and discussed the pros and cons of Local Governments in Pakistan. Mr. Arshad Abbasi, Advisor Water & Renewable Energy, SDPI, spoke in an interactive session with the young Parliamentarians on Energy Crisis in Pakistan. He believed that the Government should make efforts to improve consistency in its policies in order to overcome the Energy crisis in Pakistan. He further said, that small dams were not the solution to end the crisis in Pakistan, as the small dam worth 1.5 million would produce 18 megawatt while dams constructed worth 2.5 million would produce up to approximately 800 megawatt. Today, senior Security & Defence Analyst, General (Retd.) 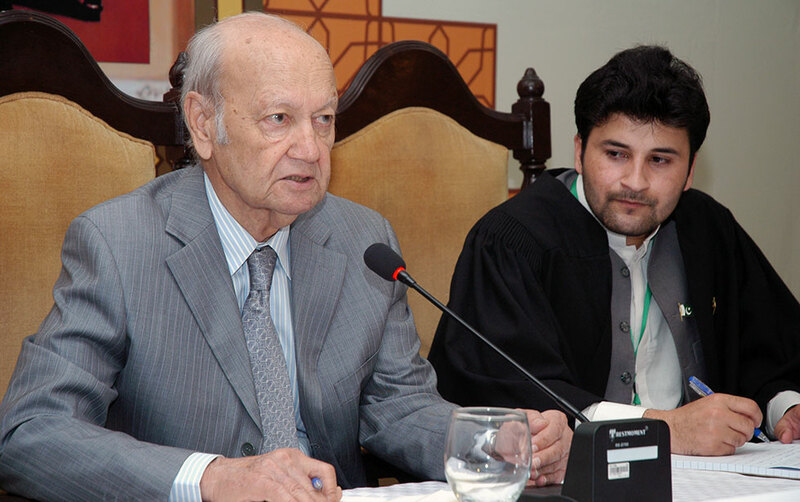 Talat Masood gave an overview of the National Security and Civil Military Relations in Pakistan. 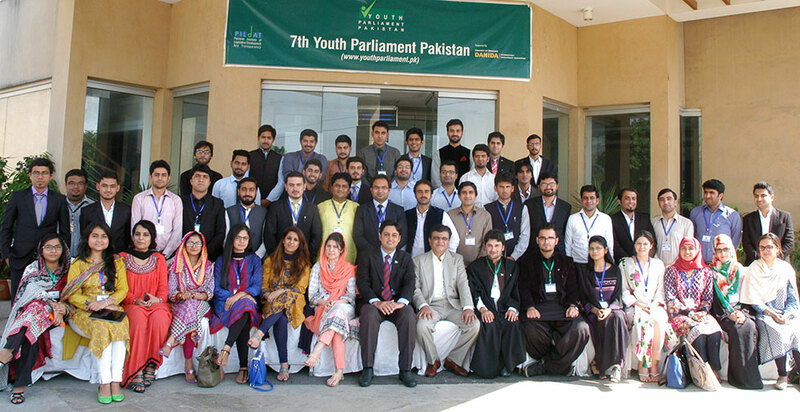 Moreover, Mr. Nohman Ishtiaq held an interactive session with the young members on the Budget process of Pakistan.